Some of the criteria for SAWS designation were straightforward: applications covering perpetual motion machines, anti-gravity devices, and technologies that violate laws of physics were included in the list. Other criteria were more fuzzy: classifications for applications with “pioneering scope,” applications that “if issued, would potentially generate extensive publicity,” and applications with “objectionable content” gave the USPTO a fair amount of leeway in selecting cases for SAWS. In late 2014, in response to a Freedom of Information Act Request, the law firm of Kilpatrick Townsend & Stockton LLP obtained additional USPTO documentation outlining the SAWS program. The new documents revealed that upon receipt of a SAWS memo, the Directors would forward the allowance to “various areas of the PTO for consideration/comment.” The documents also listed many more technologies that could trigger SAWS designation, including applications that could seem “trivial, mundane or frivolous” (with examples that seemed to cite to previous patents that garnered media scrutiny, including patents for “crimped peanut butter and jelly sandwiches” and “methods of swinging on a swing“). 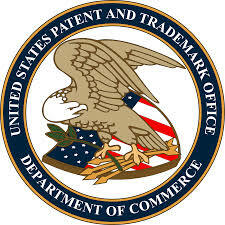 The new list also included patents with “business method claims,” “smartphones,” “Internet-enabled systems” and “E-commerce-related systems.” Suddenly, a reason for the USPTO’s long pendencies and low allowance rates for these technologies became clear, and the patent community criticized the lack of transparency in this long-standing government program. The USPTO’s announcement of SAWS’ end noted that other mechanisms– such as the publication of pending applications for public review and comment, as well as the USPTO’s Enhanced Patent Quality Initiative — were now serving the role of screening out poor quality patents. Notably, other procedures such as the USPTO’s patent-eligibility panel that is internally reviewing patent applications in view of Alice v. CLS Bank, and the increased use of post-grant proceedings may be having an even greater effect on patent grants than SAWS did. While SAWS is now officially retired, the USPTO’s efforts to weed out patents of marginal quality will continue. The good news is that those proceedings should no longer be performed in secrecy, and not with procedures that will remain a mystery for another 20 years. This entry was posted in Patents, Uncategorized and tagged patent, patent-eligibility, saws, USPTO. Bookmark the permalink.